I'm not sure who was more excited for this book to come out, my daughter or me. 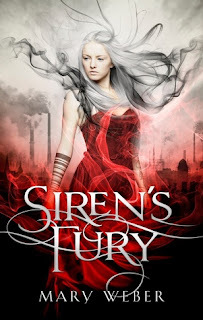 Siren's Fury is the sequel to Mary Weber's Siren's Storm, which ended on a cliff-hanger. Here's the blurb, and we'll chat on the other side! I'll be honest here, I'm only at the beginning of this book--my daughter had her hands on it first. But what I can tell you is this, Weber is masterful at pulling you fully into her story world. Nothing she writes about actually exists, and yet I feel I've traveled there and met these people myself. Each character is unique and 100% true to their personality. Each home, town, and kingdom vividly plays in my mind because of Weber's descriptions. And the storyline snags you immediately. In Siren's Fury I love the choices Nym must face. They seem larger than life on the page and yet remain relatable to anyone reading. And while I beyond enjoy reading these books too, they are written for the YA crowd who need an alternative to the darker choices currently flooding shelves in their section. Weber not only provides a striking alternative, she does it amazingly well. She doesn't shrink away from the topic of darkness or evil but uses it to let light and hope shine brightly in authentic ways. She never contrives situations to preach at her audience, but simply shares truth as it pours naturally from her through these characters and this story. I highly recommend Mary Weber's books. If you haven't read Storm Siren you should start there. 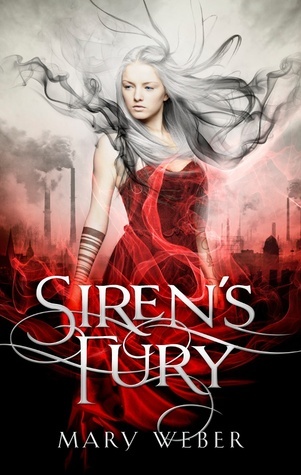 But I warn you, pick up Siren's Fury at the same time because you'll want it beside you when you finish the first. You can purchase them both here and here. PS - If you haven't gotten to know the author behind the books, you need to. She is an amazingly cool and sweet woman who loves her readers. You can meet her at her website here or follow her on Facebook here.